What do you get when you get an amazing Groupon deal!??! Sometimes NOTHING. 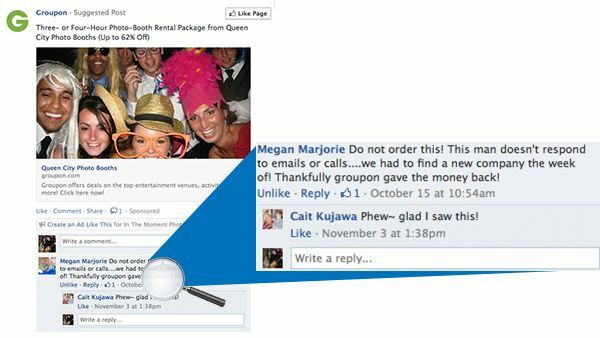 I have heard a number of brides upset, sometimes crying, because a photo booth rental company that they have purchased a Groupon from doesn’t answer their calls or emails & sometimes doesn’t even SHOW UP on the day the event was scheduled. While searching for a photo booth company in Buffalo be warry of companies who are just trying to make a quick buck & don’t provide the service (or any service!) that is deserved. It’s a service industry, so although we may be in a slightly higher price range, the product & quality you receive surpass our competition. So… you’ve been warned LOL But if you did not read this post and something like this happens to you (as tragic as that would be) you can always come crying to us. We will certainly do everything we can to make sure you event is BETTER THAN EVER! As we reflect on the past year we can think of SO many things we are grateful for! We are grateful last Thanksgiving we were able to celebrate with family on the west coast as it was to be our last holiday before moving back to Buffalo. We’re grateful or daughter has had all her first holidays & we’re ready to celebrate her 2nd Thanksgiving. We are especially grateful for the wonderful events that we have had the privileged to be part of this year. Each event is not just a day on the calendar for us. We rent photo booths to people, each of our events are referred to by the names of the guest(s) of honor because that’s what we care about. We should also remember how blessed we are to live in America. As controversial as our government & politics are we are truly fortunate. During this time we should keep the less fortunate in mind. We are trying to do our small part.